During a visit to Moldova and Germany, Romanian President Klaus Iohannis held talks concerning the continuation of Moldova`s European path. Both Klaus Iohannis and Angela Merkel gave assurance that Romania and the European Union will support Moldova. EURACTIV Romania reports. Moldova needs to continue its European path and Romania will be its main partner in this endeavour. This has been the main message that Iohannis delivered in Chi?in?u last week, during his first official visit to the neighbouring country. Amidst regional security risks, economic problems, internal political instability and growing Russian pressures, the visit of the Romanian president in Moldova was intended to breath new life in the country’s European commitments. Iohannis met with the leaders of the pro-European parties and reaffirmed the supporting role that Romania has assumed and will not abandon. The visit came at a crucial point for Moldova, as its new government faces complicated tasks. The old pro-European alliance has collapsed and the liberals have opted out of a government supported by the Communists. Former Prime Minister Iurie leanc? resigned from the main governmental party – PLDM – and announced his intention to start a new political project. And, last but not least, the region’s security continues to be at risk with both Ukraine and Transnistria (see background) being in the centre of attention. Klaus Iohannis visit to Moldova tackled these issues, generating powerful statements on both sides. Corruption was among the first topics addressed, particularly in light of the actions recently undertaken by the Romanian National Anticorruption Directorate (DNA). Commended in the most recent report of the Mechanism for Cooperation and Verification by the European Commission, DNA has just started criminal investigations against several important businessmen and the former minister of Regional Development and Tourism – a close collaborator of the former president Traian B?sescu, Elena Udrea. These actions have boosted regional opinion of Romania`s anti-corruption efforts and have brought a sense of potential for similar actions in Chi?in?u. Political stability has been also an issue during the talks with Moldovan pro-European leaders. Iohannis urged them to seek solutions for working together and restated the importance of keeping Moldova on its pro-European track. The main element on the agenda has been, however, regional security. The situation in Ukraine is pressing heavily on Moldova, particularly as Russian troops are stationed in Transnistria. Just this week, NATO chief Philip Breedlove declared that Moldova might be a Russian interest. In his words, Moldova is one of the places where a strong media campaign is supported by Russia. Coupled with the presence of Russian troops in Transnistria, this poses a great risk for Moldova`s Western orientation. President Iohannis raised worries concerning the current situation and ensured Romania`s commitment to keep Moldova on it European path. 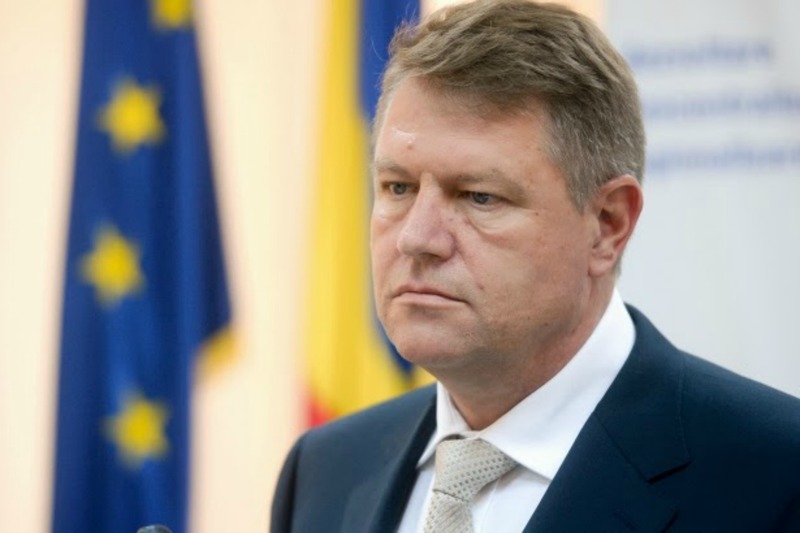 In a more nuanced statement, delivered during his subsequent visit to Germany, Iohannis said that there are no signals that the Ukrainian scenario might happen in Moldova. During the same press conference, German chancellor Angela Merkel declared that the conflict in Transnistria has long been on the agenda of the West and that the situation in Moldova is not developing as desired. She added that “Moldova will receive substantial aid from the European Union,” calling the state “a close partner”. EU and Romania are supporting Ukraine also, how’s that working out? Half of Moldavia is occupied the 14th Army of Russia, does anyone see conflict of interest on the horizon?